With an insecticidal virulence that is 10-100 times higher than older generation insecticides such as Organochlorine, Organophosphorus, and Carbamate, it has successfully put a stop to a host of pests and helped a lot of farmers and fruit growers. Furthermore, because of its small dosage and low concentration, Pyrethroid insecticides are also safe for both humans and animals. In this article, we will be sharing with you tons of information about Pyrethroid insecticides. What it is, how it works, the benefits you get by using it, and so much more. So, if you are looking to be an expert on this, then you’ve come to the right place. Pyrethroid insecticide was first introduced to the market during the 1980s. Because of its high efficiency, wide spectrum, low residue and low toxicity towards both humans and animals, it has since been widely used in agriculture and has become one of the pillars of the pesticide industry. This type of insecticide is commonly used with Fenpropathrin, Deltamethrin, Cypermethrin, Cylufthrin, and Fenvalerate. Although Pyrethroid insecticide is generally safe for mammals, birds, and other higher vertebrates, it can cause an immediate and highly toxic effect on aquatic animals such as fish. Pyrethroids are classified as axonic excitotoxins. Its toxic effect occurs by preventing the closure of numerous sodium channels found within the axonal membranes. Sodium channels are membrane proteins with hydrophilic interiors. This is a small hole that is shaped precisely so that it strips away slightly charged water molecules which comes from a sodium ion, thus creating a better way for sodium ions to navigate through the membrane and axon, and develop an action potential. Keeping the channels in open state prevents the nerves from repolarizing, allowing the axonal membrane to permanently depolarize, which paralyzes the organism. Once pyrethroid insecticides penetrate the cuticles and reach the nervous system, it induces its toxic effect on insects. By allowing the flux of numerous sodium ions, sodium channels make way for signal transmission along the entire length of the nerve cell. When Pyrethrum binds with sodium channels, it causes obstruction on normal channel functions and results in hyperexcitation and consequently, loss of nerve function. This causes a shutdown of the insect’s nervous system and eventually leads to insect death. Pyrethroid insecticides are highly toxic to aquatic animals and fishes, with effects that are quick and often fatal. Its toxic effect on fish is about 10-100 times higher as compared to its effect on mammals and birds. An example of this is that of the semi-lethal concentration of Deltamethrin on a fish which can go as high as 1 microgram per liter. Because it is hydrophobic, pyrethroid is easily absorbed by the gills. Classified as a class of lipophilic compound, this compound is readily absorbed by fish scales even at a very low concentration. In addition to this, pyrethroid metabolism in fish relies mainly on oxidation due to the absence of hydrolyzing enzymes. This results in an increase in pyrethroid’s toxic effects on fish. Acute toxic symptoms on fish include hyperactivity, imbalance, hyperventilation, spine curl, gill spasm, change in gill color from red to purple, increased gill mucus secretion, and a period of immobility shortly before death. Research shows that pyrethroid poisoning on fish produces typical neurotoxic symptoms that include abnormal excitement, distortion, or paralysis. It’s toxic effects on fish results in damage to the nervous system, the immune system, the tissues, and the organs. This directly affects the swimming, foraging, migration, and reproductive process of fishes, thus affecting their ability to adapt to their environment. Nowadays, comprehensive production technologies such as paddy field breeding, are being widely used. It is therefore important that when using products with high fish toxicity, extra care, and precaution should always be observed. Keep in mind that in the process of pesticide use, we need to consider not only it’s insecticidal properties, but it’s the ecological impact on the environment as well. Pyrethroids are known to provide a range of benefits as being a low-cost insecticide that effectively controls a wide spectrum of pests in different settings while being an important element in resistance management. Below are some of the most common benefits you can get from using a pyrethroid insecticide. 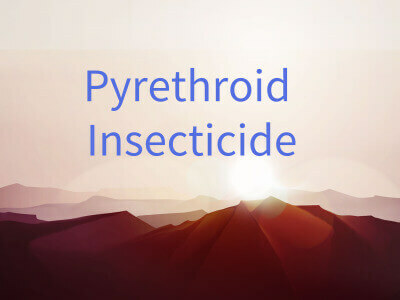 Pyrethroids benefit the economy by increasing the overall yield in both commodity and specialty crops. This benefit goes to the consumers as lower prices of vegetables, fruits, nuts, meat, poultry, and other foods that use crops as the main input. Farmers prefer to use pyrethroids because they care about environmental impact when choosing an insect control option. Growers are able to benefit by being able to market globally with a well-established set of Maximum Residue Limit. Pyrethroids are currently the most popular insecticide class used to manage and control public health pests such as cockroaches, mosquitoes, ants, flies and bed bugs within places where people work, play, and live. Growers benefit from having low input costs which provide broad-spectrum control. Pyrethroids are a significant management tool in certain applications where there are limited alternatives available such as in the control of disease vectors like mosquitoes and ticks. Pyrethroids belong to a group of man-made pesticides. The name pyrethroid means “ pyrethrum-like” and as the name suggests, it’s properties is quite similar to the natural pesticide pyrethrum, which comes from chrysanthemum flowers. Below are some common examples of pyrethroid products. This product is used to control aphids which usually affects grains, soybeans, vegetable, cotton, and other crops. These aphids may include Colorado Beetles, thrips, Lepidoptera larvae, Coleoptera larvae, and public health pests. It primarily targets the insect’s nervous system and destroys neuron function. It kills the insects through the sodium ion channels. It also causes gastric toxicity and palpation, and can kills pests with long term exposure. Lambda-Cyhalothrin is highly toxic to fishes and bees. Therefore, the use of this in places near water areas and farms with nectar source crops is prohibited during the flowering period, as well as near silkworm rooms and mulberry gardens. Deltamethrin is widely used for grains, cotton, oils, fruits, vegetables, tea, and various crops and trees. It effectively controls up to 260 types of common agricultural and forestry pests which include Lepidoptera, Coleoptera, Orthoptera, and Hemiptera. In China, Deltamethrin is commonly used for the control and prevention of cotton bollworm, red bollworm, small ground tiger, green worm, twill night moth, peach small heartworm, apple leaf curl moth,tea lochworm, small green leaf cicada, soybean heartworm, slime worm, aphid, orange leaf miner, litchee bug, sugar cane bollworm, locusts,pine caterpillar, and about 30 other agricultural pests. 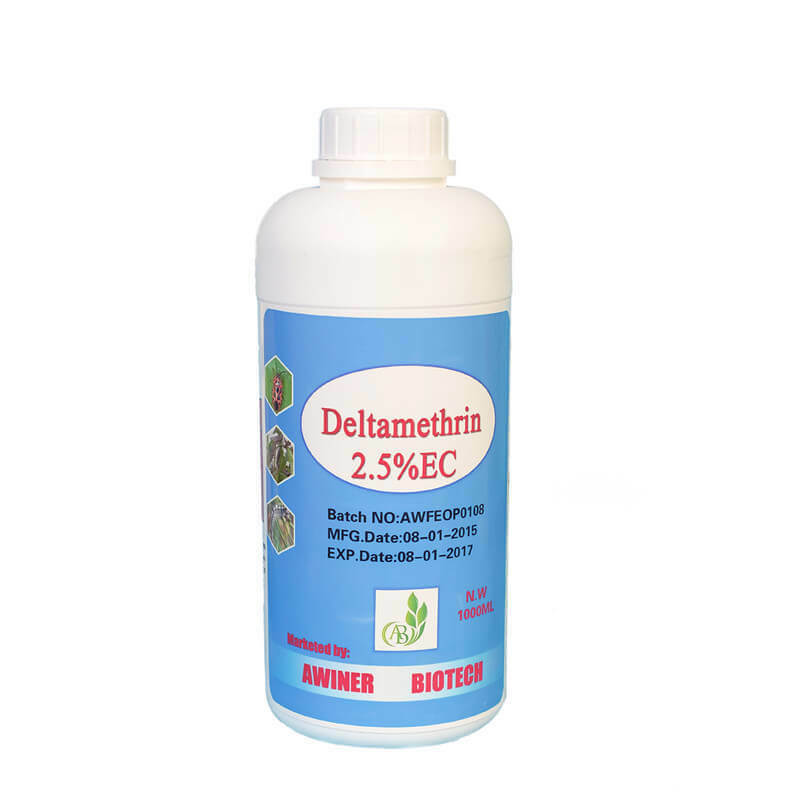 Deltamethrin has a strong insecticidal effect, which causes palpation and gastric toxicity with no internal absorption and fumigation and repellant effect on pests. It has a broad insecticidal spectrum and a fast knockdown speed. Although it has no effect on moths, it has toxic effects on Lepidoptera larvae. Commonly used for the control and prevention of Diptera, Coleoptera, Hemiptera and other pests affecting fruits, vegetables, cotton, coffee, ornamental plants, trees, and other crops. Used to control houseflies, cockroaches, mosquitoes, and other types of public health pests. Cypermethrin has a significant toxic effect on Lepidoptera larvae, Hemiptera, Homoptera, and other pests. However, it has no effect on mites. It is suitable for use on fruit trees, tea trees, corn, cotton, soybeans, and other crops. By blocking Sodium channels, cypermethrin acts on the insect’s nervous system and interfere with its functions. Its insecticidal effects include touch and stomach kill as well as resistance to food. Cypermethrin is effective when used for pests that are resistant to organophosphorus insecticides, but has minimal effect on mites and stink bug. It has a long shelf life and relatively safe when properly used. Bifenthrin is used to control pests on cotton, tea trees, vegetables, and other crops. It is effective in preventing and controlling Lepidoptera larvae like leaf miners, edible heartworms, leaf roller moths and loopers, insect pests and mites such as whiteflies, aphids, leafhoppers, leaf moths, and Gail mites. Its insecticidal effects include gastric toxicity and palpation, with no internal absorption and fumigation. By blocking the Sodium channels, Bifenthrin acts on the insect’s nervous system while it interferes with its functions. Bifenthrin has a wide insecticidal spectrum and rapid action. It has a lasting effect and does not spread through the soil which makes it relatively safe for the environment. Permethrin is widely used to control pests affecting cotton, tea trees, fruit trees, and is effective in controlling sanitary and livestock pests. Its main insecticidal effect includes palpation and gastric toxicity and has an ovicidal and repellant effect without internal absorption and fumigation. It has a wide insecticidal spectrum and can easily decompose easily on alkaline medium and soil. Cyfluthrin is effective when used to control pests on cotton, wheat, apple, orange, grape, soybean, sweet potato, tobacco, strawberry, tea, hops, coffee, alfalfa, olives, ornamental plants, and many more. It is effective in the control and prevention of cotton bollworm.red bollworm, cotton aphid, grapeseed insects, small peach heartworms, golden grain fine moth, wheat aphid, slime worm, corn borer, grapefruit moth, potato beetle, aphid looper, and smoke green insects. By interacting with Sodium channels, it acts by poisoning the nerve which causes extreme excitement, spasm, and paralysis. This leads to complete blockage of nerve conduction and cause pathological changes on tissues other than the nervous system which eventually leads to death. Its main insecticidal effect includes palpation and gastric toxicity with no internal absorption or fumigation. It has a broad insecticidal spectrum, fast action and produces a lasting effect. It also has ovicidal reaction and repellant effect. Zeta-Cypermethrin can be used on tea trees, fruit trees, cotton, soybeans, sugar beets, and helps control both forest and public pests. By blocking Sodium channels, it interferes with the insect’s nervous system and interferes with its functions. Its main insecticidal action is through contact and stomach toxicity. It has a broad insecticidal spectrum and takes effect quickly. It is stable to light and heat and eliminates the eggs of certain pests. It effectively controls pests which are resistant to organophosphorus insecticides but has little effect on mites and blind mites. This drug has a low residual effect and safe for crops when properly used. 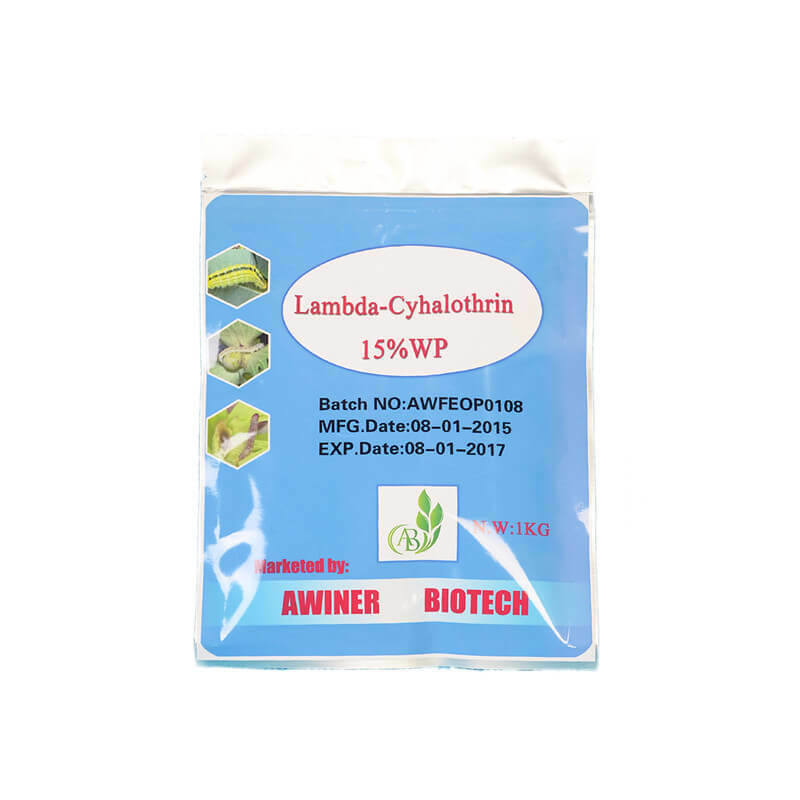 Alpha-Cypermethrin is used to control pests found on cotton, corn, soybean, beet, fruit trees, wheat, vegetables, flowers, tea trees, and tobacco. It helps control and prevents stinging and chewing pests such as Lepidoptera, Homoptera, Hemiptera, Coleoptera, amongst others. This drug is also used for public health pests like mosquitos and cockroaches. Alpha-Cypermethrin works by using the sodium channels to block protein movement and nerve conduction, causing paralysis and blockage of nerve impulses to the nerve endings. This pesticide causes palpation and gastric toxicity with no internal absorption. It has an ovicidal ability and can cause damage to an insect’s central and peripheral nerves even at low doses. Alpha-cypermethrin has low stability on plants and is capable of withstanding rainwater erosion. Alpha-cypermethrin ( cis-cypermethrin ) is an effective isomer of Cypermethrin. Its insecticidal ability is 1-3 times that Cypermethrin, which means that although the dosage per unit area is less, the insecticidal effect is higher. The process of choosing the right pesticide to use may seem complicated at first glance, but you see, it’s really not hard at all once you have the right knowledge and guidance. We hope that the information we have shared in this article will help clear your doubts about Pyrethroid Insecticides. For questions, inquiries, suggestions, or any concern, please feel free to get in touch with us. In the meantime, it would be great if you can share this article through your social media platforms. You may not know, but there may be a friend, colleague, or acquaintance looking for the same information. As they say, sharing is caring.